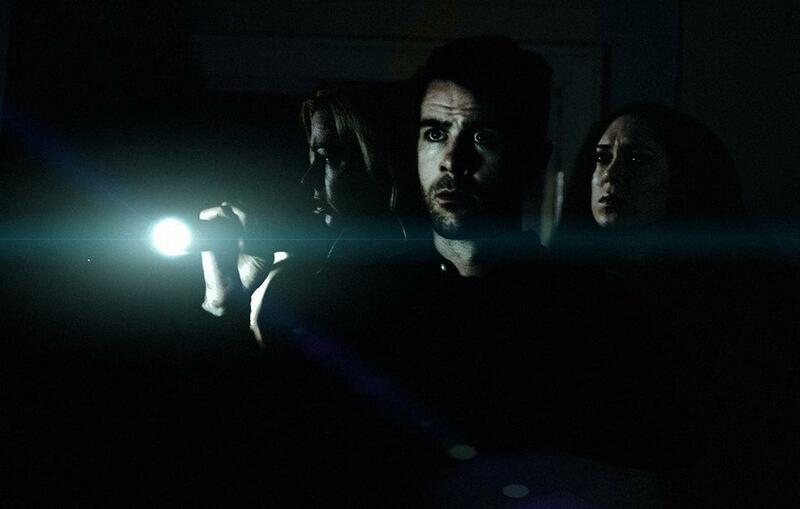 As well as seeing the likes of The Guest and Truth or Dare at FrightFest 2014, Mike also found time to take in a short film or two, including Damon Rickard’s The Tour. Alongside all the main films, FrightFest also runs a short film competition, usually sponsored by the Horror Channel.When I watched the shorts during my first year, the quality ranged from very good to downright terrible. The next year, I didn’t bother. It wasn’t until the second year at the Empire, when I didn’t fancy anything in the discovery screen and it was raining, I reluctantly stayed for the shorts. Well, I wasn’t expecting what I saw; the quality was outstanding. The majority of them were brilliant. Even the worst ones were above average and since then I’ve made a point of seeing the short showcase. The shorts used to play in the main screen and the competition winner was announced at the end of the presentation. This year, the shorts were split into two sessions and were moved into the discovery screen. I had originally planned to watch both sessions, as I was interested in seeing both She and The Tour. However, She was up against Starry Eyes, and The Tour against V/H/S Viral, two major films I really wanted to see. As it turned out, I wish I had gone to see the shorts instead now! I have been lucky enough to see The Tour since the close of the festival. Damon Rickard is a FrightFest audience member and he has co-written and co-directed this piece with Alex Mathieson. It stars Jessica Cameron and Heather Dorff both from Truth or Dare (which also played the festival), and Tom Gordon. A small village relies on a local haunted house, Darkmoor Manor, to bring in tourism revenue to a local community; they claim it is England’s most haunted house, although its doors are closed to the public. Tom (Tom Gordon) is the tour guide and the film opens as he is concluding a tour. Two female American tourists have been on the tour and Tom is out to impress the women, inviting them for a drink. Cassie (Heather Dorff) and Morgan (Jessica Cameron) accept the offer and the conversation turns to the house. Cassie and Morgan aren’t impressed with the claims of the house and Tom promises to get them inside and give them the real tour of Darkmoor Manor! This is an excellent short film and I really did enjoy it – I’m even more annoyed now I missed it on the big screen. The cast are extremely good. Tom Gordon delivers a great performance; he’s charismatic, cheeky and very confident in his role and hopefully we will see more of him in the future. Heather Dorff and Jessica Cameron are also excellent. Dorff plays the sassy Cassie with considerable ease, while Cameron plays the more timid character (maybe a departure from her usual roles) but she does it very well. Having these two actresses in the film is a major coup for Rickard, especially considering it’s his first production. He has done very well with the casting of this short. The cast are backed up by a solid script. It was very well written throughout, allowing for some decent twists along the way and a couple of solid scares as well. Visually the film looked great, especially the interior house scenes that were very impressive. You can see Rickard’s knowledge of the genre coming through in this production. He knows the beats to hit, he knows timing is essential in a horror film, and in a short you have far less time to make those beats work. Rickard and Mathieson have crafted a very fine short here. There is potential to turn this into a feature – maybe one day they will? I would pay money to see that! For more information on The Tour, you can check out their Facebook page or find them on Twitter. Mike’s FrightFest Diary reviews will continue soon with a look at the more amusing side to FrightFest.